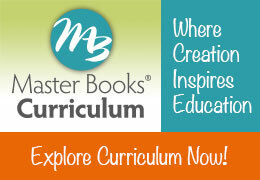 Master Books will be exhibiting at 23 homeschool conventions in 2019. See our full list of conventions below. Since 1975, Master Books has been providing educational resources based on a biblical worldview to students of all ages. By equipping students with the biblical truths and their key connection to the world of science and history, it is our hope they will be able to defend their faith in a skeptical, fallen world. Whether a preschool learner or student preparing for college, we offer a wonderful selection of award-winning resources for all ages and educational levels. Please visit us at any of the homeschool conventions we’ll be exhibiting at for great discounts and incentives! Won’t be attending any of these shows? That’s ok! Explore our curriculum options now!